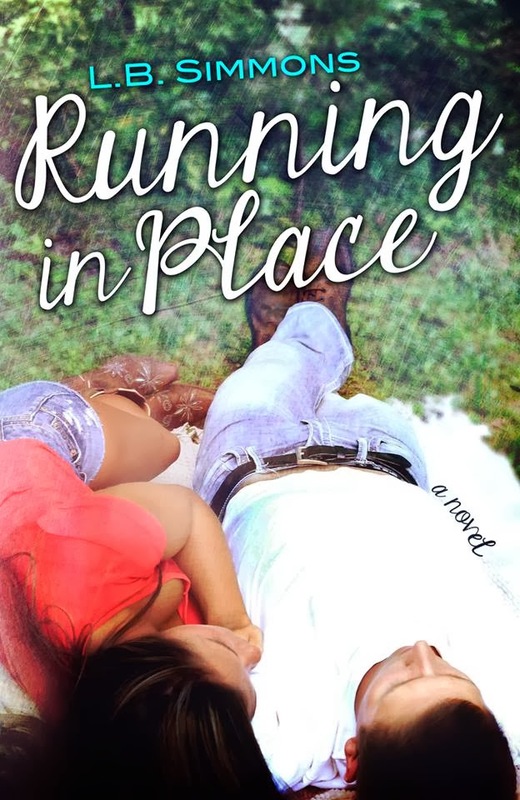 I have been looking forward to reading RUNNING IN PLACE since August, when I spent the day by the pool in Vegas with L.B. Simmons. While we sunbathed and had several cocktails, I got the layout of what the story was going to be about. Never did I expect the story that unfolded before my eyes when I finally had the book in my hands. The emotions that I felt tore through my body like a tidal wave. My heart broke for Tatum and Noah. These two individuals have been to hell and back and all I wanted for them was for them to reach their heaven, together. Tatum was abused by her alcoholic mother as a child and it went on for years after the death of her father. Tatum’s drunken mother blamed her for her father’s death and there was not a day that went by that she was not reminded of it. The pure hatred this woman had for her child was sickening and literally turned my stomach when I read what this poor child had to endure. Tatum was broken, flawed, her soul was shattered. She gave up on her hopes and dreams and was just going through the motions of life. She was just “Running in Place”. Tatum wasn’t living life anymore, she was just trying to survive. Tatum’s relationship with her brother was pretty much non-existent. Other than Sadie, her best friend, Tatum didn’t have anyone. Tatum was alone. Noah was the manager as well as a bartender at the bar which Trace was part owner. Trace knew that he didn’t have a relationship with his sister, so he asked Noah to keep an eye on her. Noah has been watching Tatum for months. He watched how she acted, how she conducted herself whether it was while she was working, or while a patron at the bar with her friends. Noah grew to like Tatum, however he would never let Tatum know that. The two of them were always at each other’s throats, bickering and fighting with each other. Tatum thought that Noah was perfect. He had the perfect body, the perfect face, he was always so composed. Tatum thought Noah had it all, little did she know that Noah was not perfect. He had his flaws as well. Noah also had a past, one that he never cared to share. Noah only expresses his feelings and emotions through lyrics. Noah wasn’t living the life he wanted. He was living the life, his father dictated. After Tatum gets herself into a little trouble, which costs her brother Trace some money to keep her out of jail, Trace makes her work at Blake’s apartment complex to work off some of the debt. When Tatum arrives at the apartment, she realized that work was not only her punishment, but she was being punished by having to work with Noah every day for the entire summer. Once Tatum leaves her guard down, she begins to get to know Noah. Noah has been watching Tatum spiral out of control. Her boyfriend is a dead beat, who doesn’t deserve her. The only problem is, Tatum doesn’t think she deserves better. Tatum is so broken that she refuses to see her self-worth. Noah knows Tatum deserves more, she deserves to be treasured. Tatum is just so badly damaged from the abuse that she received on a daily basis, that she doesn’t believe him. Tatum thinks that Noah judges her, but in reality he doesn’t. He truly cares about her. Noah is developing feelings for Tatum the more he spends time with her. Noah’s life has been mapped out for him. After fighting his feelings for Tatum for months, he decided it was time that for the first time in his life, he was allowing himself to live in the moment. He was allowing himself to follow his heart instead of following his head. Both Noah and Tatum have a past, a past that broke their spirits. Would they be strong enough to move forward from their pasts? Were they going to allow their pasts to dictate their futures? Could Tatum and Noah have a future together? Were they willing to take the chance? Was the timing right for a relationship to develop between the two of them? Could Tatum work her relationship out with her brother Trace? Would Tatum be able to leave the hate behind that she had for her mother? Would Tatum always carry that burden with her? I absolutely LOVED this book. I didn’t think it was possible to love a book like I loved Running On Empty and Recovery. I had fallen in love with Blake and Alex. Noah sure did make it easy to fall in love with him. L.B. Simmons made me fall in love with him and as I got to know his story. It made me love him even more, if that was even possible. I was routing for Tatum the entire time. I wanted her to find inner peace and I wanted her to be able to let go of her past. I didn’t want her future to be tarnished with what she went through. She deserved to be happy. I was a cheerleader on the side lines routing for her and Noah the entire time. I wanted Noah to her knight in shining armor. Noah didn’t want to fix Tatum, he wanted to love her, cherish her. He accepted Tatum, for who she was, flaws and all. Everyone has flaws. None of us are perfect, we can only hope that we find that person who is perfect for us. 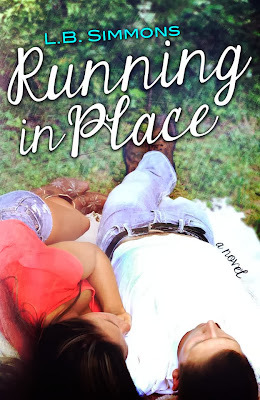 Running in Place was a great book. I didn’t expect anything less. L.B. Simmons delivered another great novel, and I look forward to getting my girl, Harlow’s story. I have been waiting patiently. Hint hint…. MAKE SURE YOU ONE CLICK THIS SERIES... YOU WILL LOVE IT, I PROMISE !! !